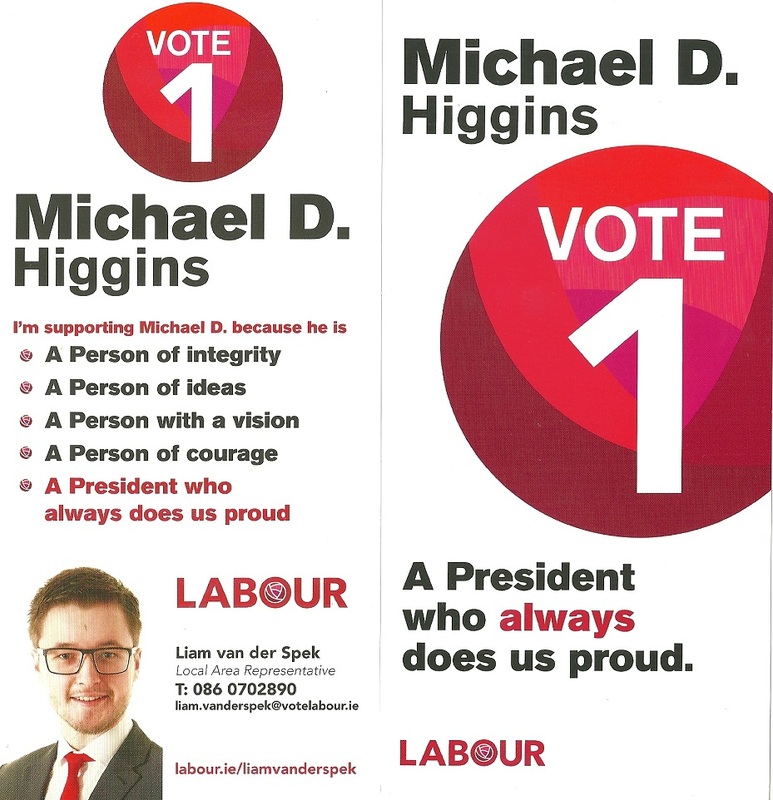 From the 2018 Presidential Election Campaign a “Vote 1 Michael D. Higgins” flyer from Liam van der Spek of Labour in Cavan. 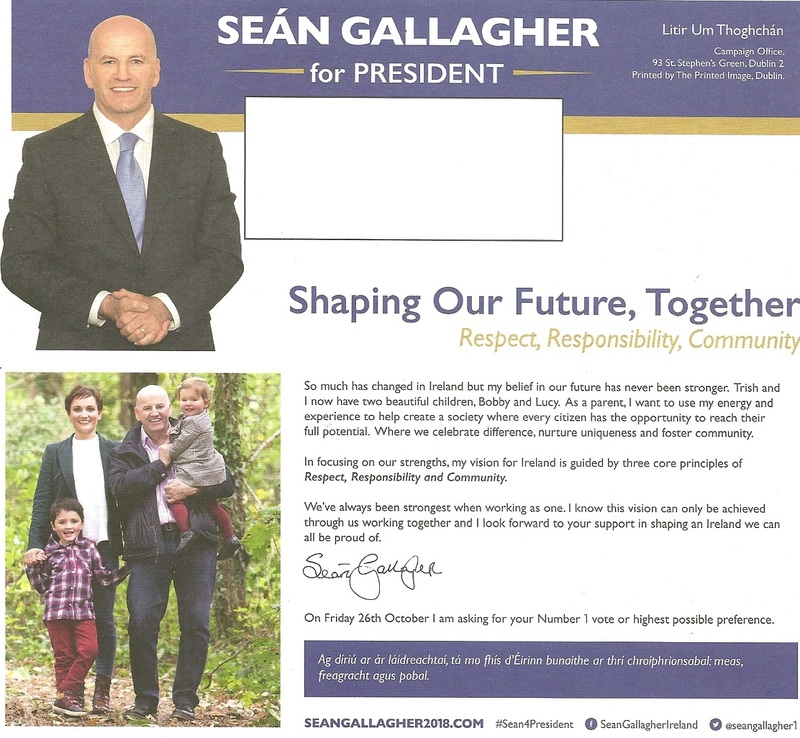 From the 2018 Presidential Election Campaign, The Litir um Thoghchán from Independent Candidate Sean Gallagher. 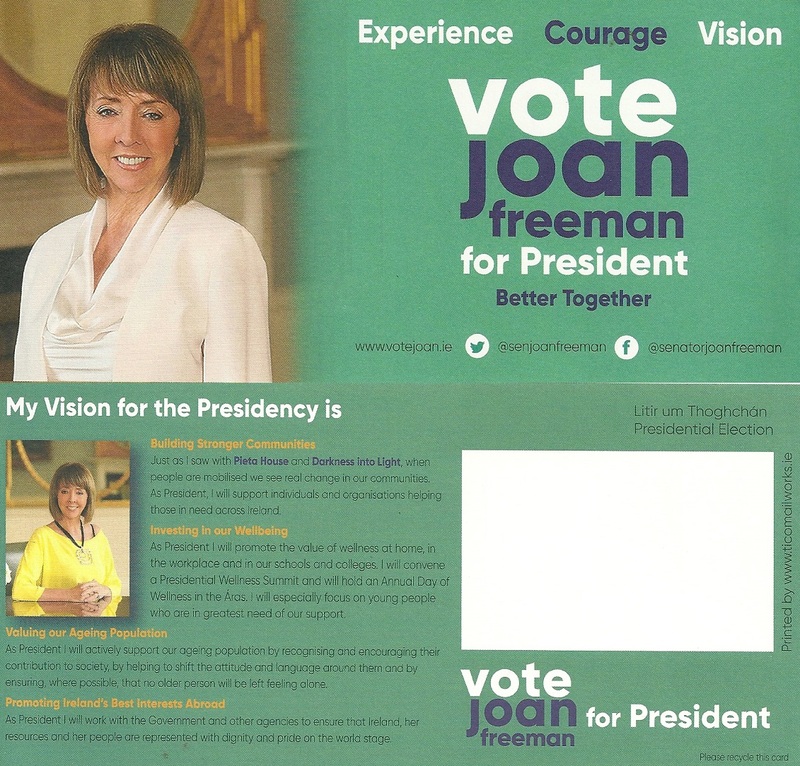 From the 2018 Presidential Election Campaign, The Litir um Thoghchán from Independent Senator Joan Freeman. 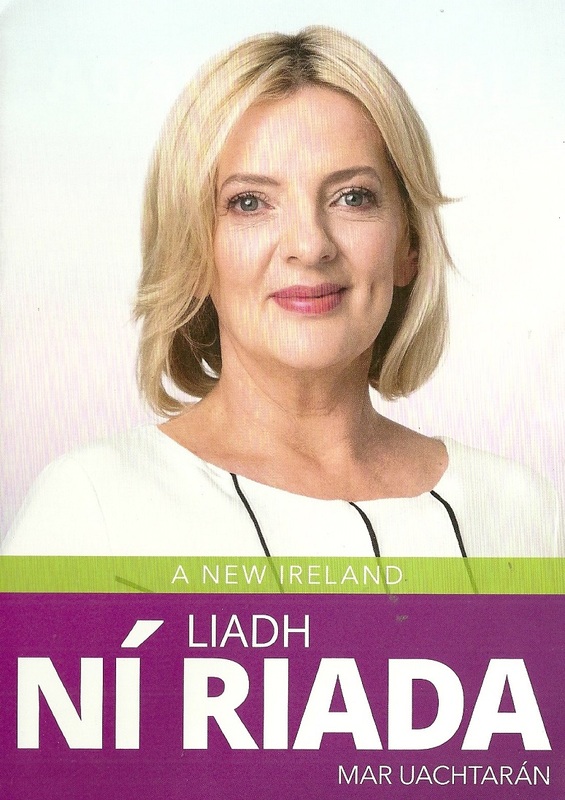 From the 2018 Presidential Election Campaign, a leaflet from Liadh Ní Riada. She is currently a Sinn Féin MEP for Ireland South. 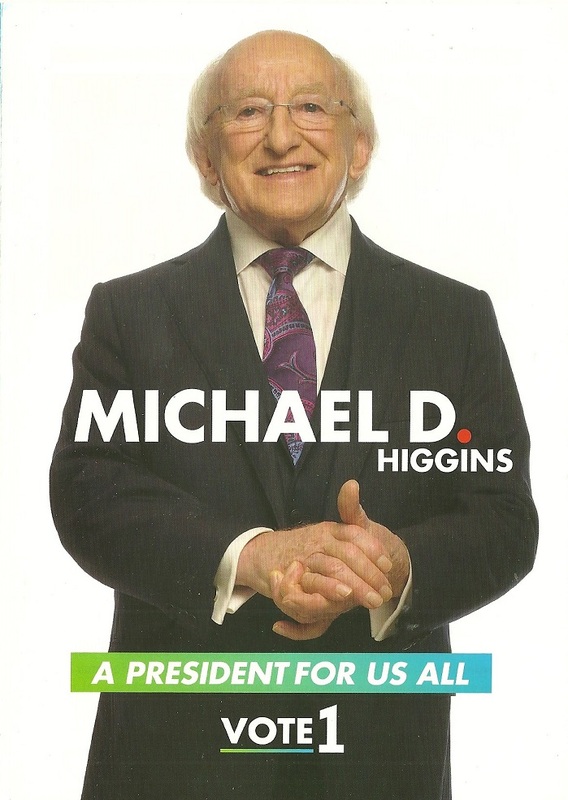 From the 2018 Presidential Election Campaign a leaflet from Michael D. Higgins. 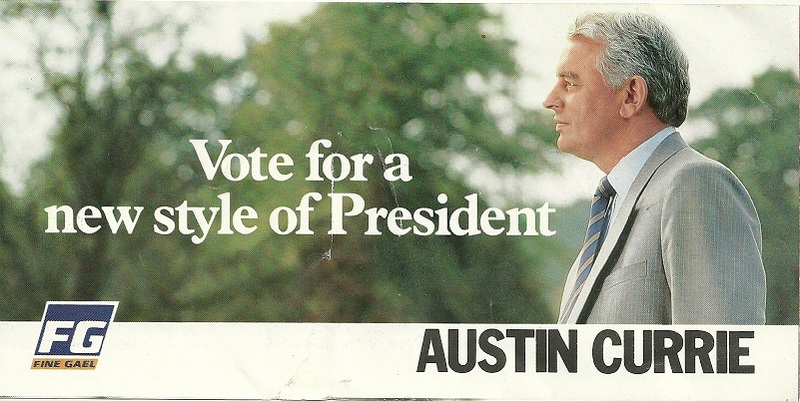 From the 1990 Presidential Election a leaflet from Austin Currie the Fine Gael candidate. 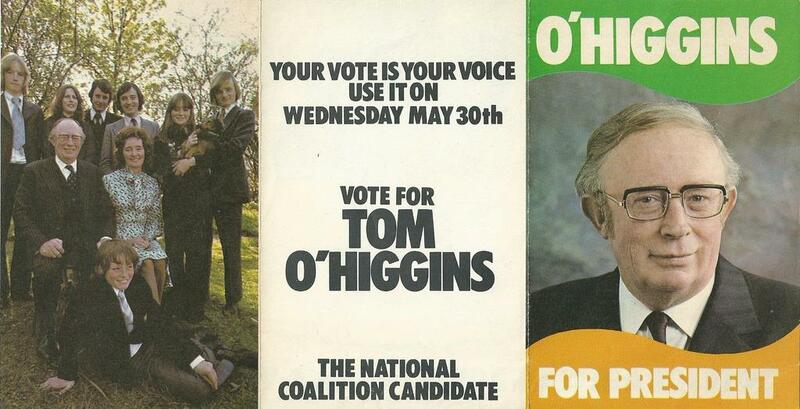 From the 1973 Presidential Election a leaflet from former Fine Gael TD Tom O’ Higgins who was running as The National Coalition Candidate. He was defeated by Fianna Fail candidate Erskine Childers.